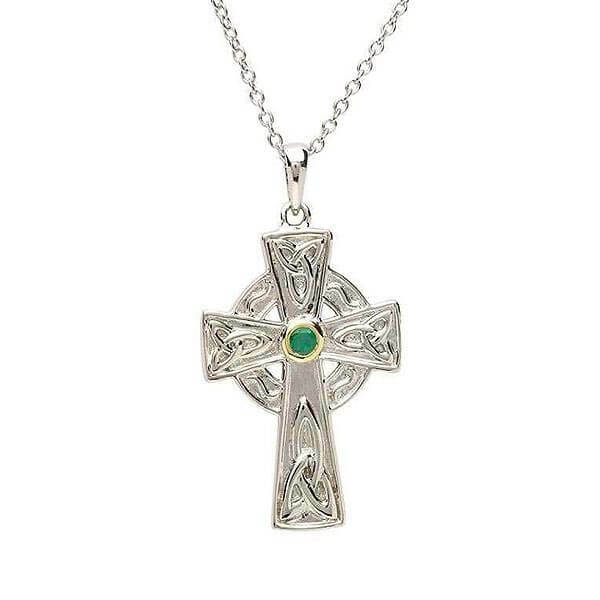 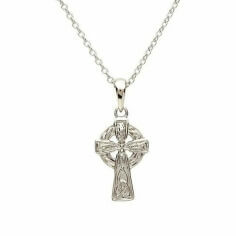 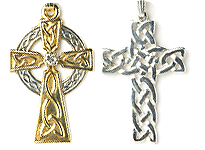 This beautiful Celtic cross is crafted from Sterling silver. 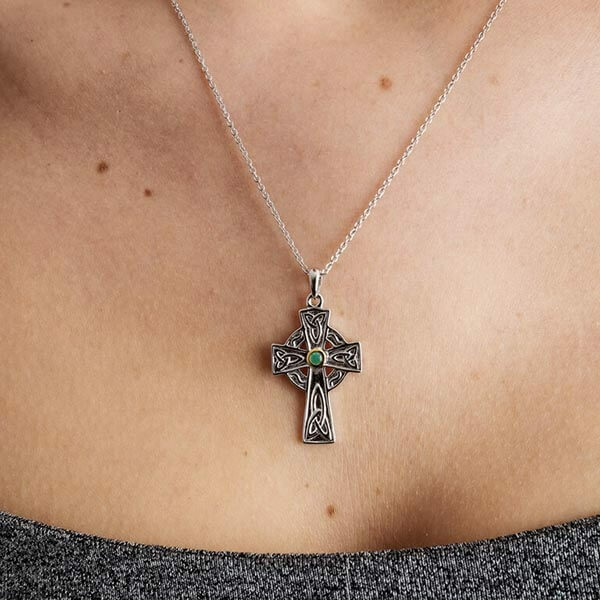 The centerpiece is an emerald-like stone that is made all the more prominent with the gold plated border. 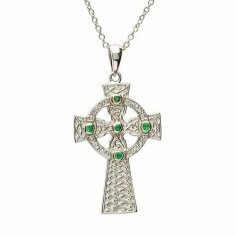 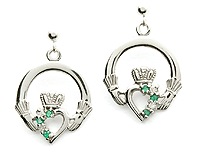 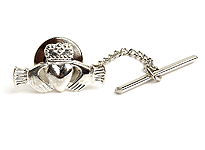 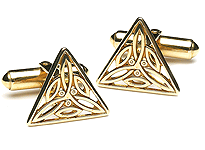 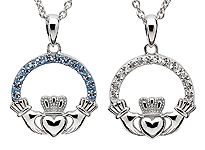 Delicately handcrafted in Ireland by highly trained Irish artisans then stress tested and hallmarked by the Dublin Assays Office. 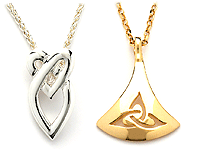 Guaranteed quality.